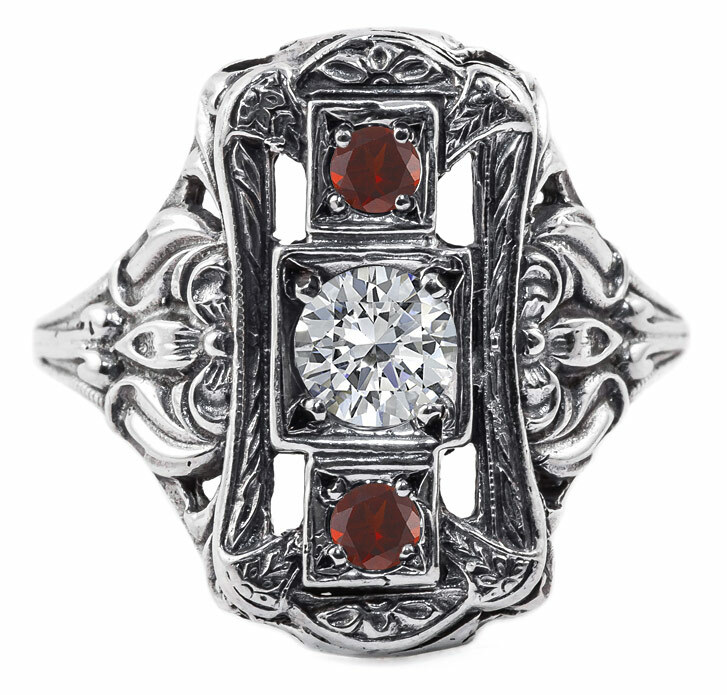 What makes this Victorian-era genuine ruby and white diamond vintage style three stone ring so stunning is not only its aesthetic beauty and resplendent, unique form, but also the fact that the ring was made from an authentic jewelry making hub that one of our designers discovered. While exact dating is not possible, we have narrowed this piece to likely have come from the mid 1800s to early 1900s era. Jewelers of the time used the same hubs that we now possess to create new jewelry rings in the Victorian style. Our jewelry is brand-new reproductions of vintage rings, using the same tools and hubs to fashion contemporary pieces for today. This particular ring is set with a genuine white diamond of 0.25 carat center stone with two accompanying genuine ruby gemstones of approx. 0.07 carats each (2.5mm in size). 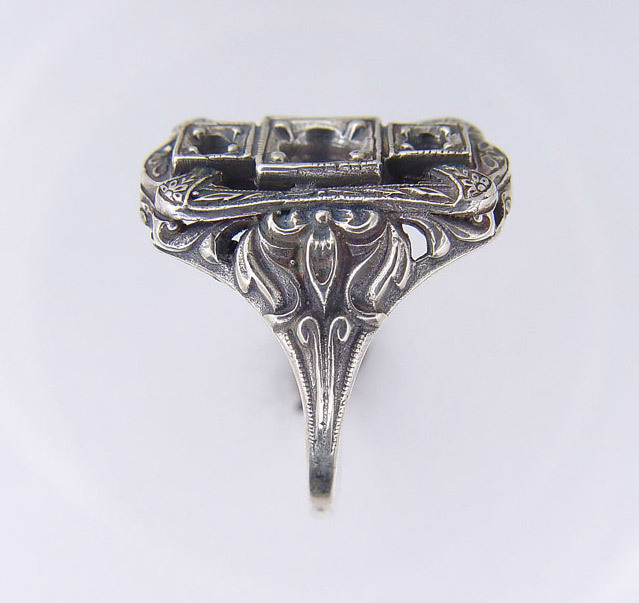 This vintage-style ring is crafted in pure .925 sterling silver and rhodium-plated. Also available in 14k white gold shown below. Would you like a different gemstone or prefer a different center stone? Simply contact us & we will customize it to your preference! 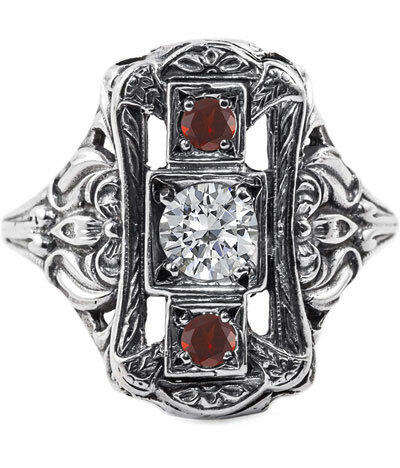 We guarantee our Victorian Style Ruby and Diamond Three Stone Vintage Ring, Sterling Silver to be high quality, authentic jewelry, as described above.